There are a few types of massage you can get in a massage centre in Malaysia. Among the most popular one is deep tissue massage, where your therapist would apply deep pressure onto your body and focus on the layers of the muscles and fascia (connective tissue) to ease the tension. Deep tissue massage has its own advantages such as reducing stress and lowering blood pressure. But at the same time, some people do experience mild to severe discomfort during deep tissue massage therapy. Here are the 7 Possible Side Effects You Might Get From Deep Tissue Massage. Here’s the thing about getting a deep tissue massage: You may experience pain during the course of the session. This is because a therapist utilises pressurised technique using the palms, thumbs, fingers, knuckles and even elbows to stimulate your muscles. Depending on the individual, some may experience “good” pain — the kind of physical response after the initial tense muscle has loosened and relaxes your body. But there are times where the pain feels intense and sometimes unbearable. If this happens, you should inform your therapist about it so that he or she is able to switch to different massage techniques. 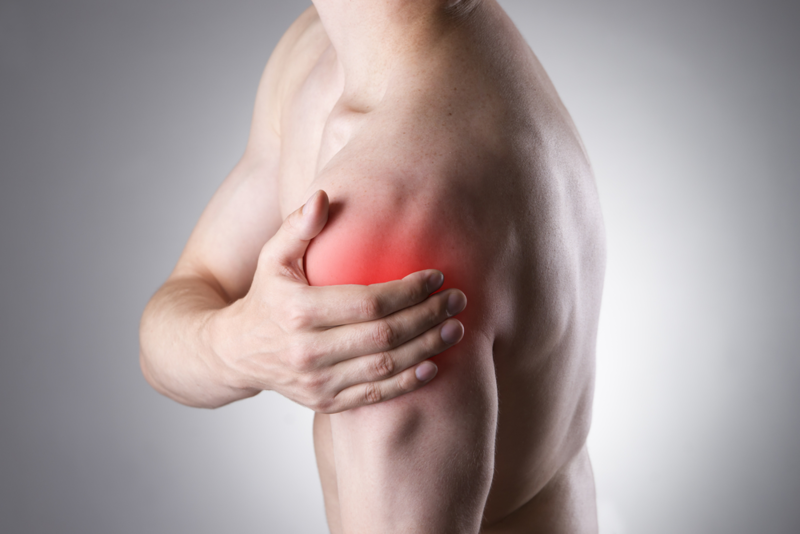 Another common side effect during deep tissue massage therapy is muscle soreness. Similar to the pain response, this usually happens due to the pressure that is applied to the body. If you experience soreness in your body after a massage, give it some time to recover. It will typically subside after a day or two. This typically occurs since deep tissue massage involves repeated stimulation of your body. But there are times inflammation can happen due to extreme pressure applied by your therapist or the fact that he or she has triggered an old injury on a certain part of your body. Just like pain and muscle soreness, allow some time for the inflammation to subside after a few days. You can also try to apply an ice pack or heat pack to the inflammed area or take one or two painkillers (e.g. Panadol). Don’t be surprised if you feel sleepy and lethargic after a deep tissue massage therapy. It is actually a common physical response, given the fact that your body has been worked out intensely during the session. Although you may feel too tired to focus on your daily activities, at least it gives you a good night’s sleep. Some people do experience nausea after deep tissue massage therapy. This typically occurs due to the release of toxins from your body. Your best bet is to drink plenty of water to get rid of excess toxins and get some rest. This is a rare side effect of deep tissue massage therapy. It could happen due to odd and awkward positioning of your head during the session, or it could be the fact that you are not well-hydrated, resulting in your body to overreact and cause a headache. But not to worry since such a headache commonly lasts only for a while after the session. Of course, if you are already dehydrated during the massage treatment, remember to replenish your body with plenty of water. Now, have you ever had a deep tissue massage therapy that resulted in bruises? Such a case could occur due to “muscle contusions” — a term that refers to the affected area of your body where the capillaries break and cause bleeding under the skin. Depending on the individual, some bruising happens because your therapist applied too much pressure on a certain area of your body while trying to loosen up the tense muscle knots. This, in turn, causes a particular area of your body to suffer from bruising. Some other cases of bruising could be due to the poor massage technique applied by your therapist or that your skin itself is easily bruised. Either way, it’s best to talk to your therapist about it before the session begins.